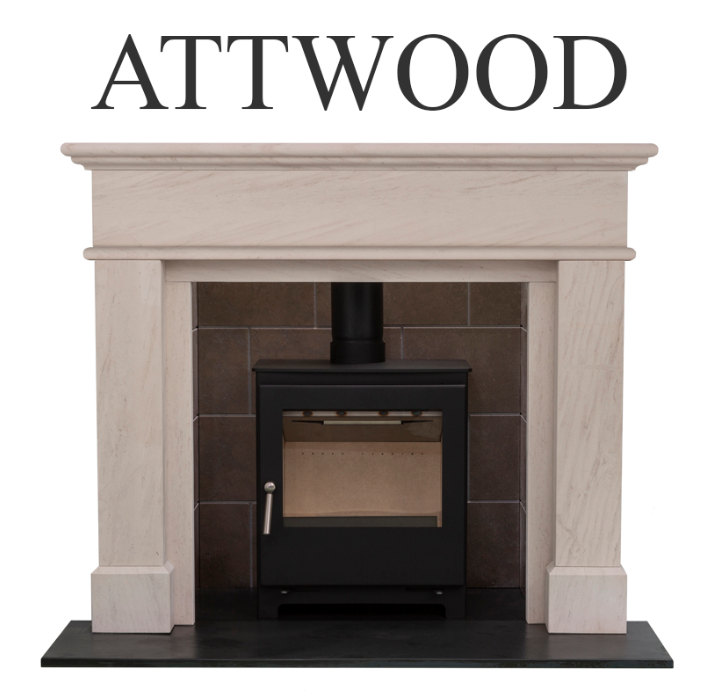 The Woodford Collection is a hand picked luxurious range of Multi Fuel Stoves and Fireplace packages, designed for modern living but keeping the traditional values of every British home at heart. 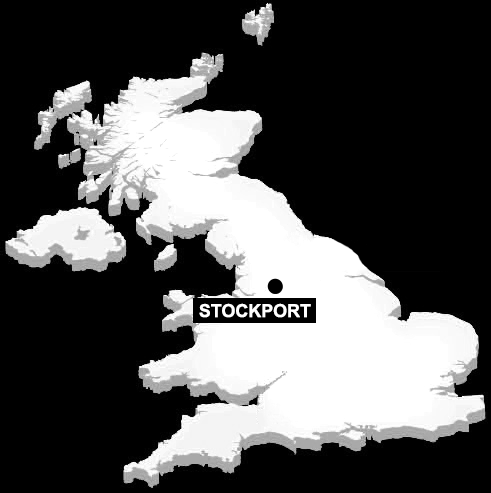 Our Multi Fuel Stoves are 100% manufactured in England and we have produced some of the highest efficiencies related to fuel consumption on the market. 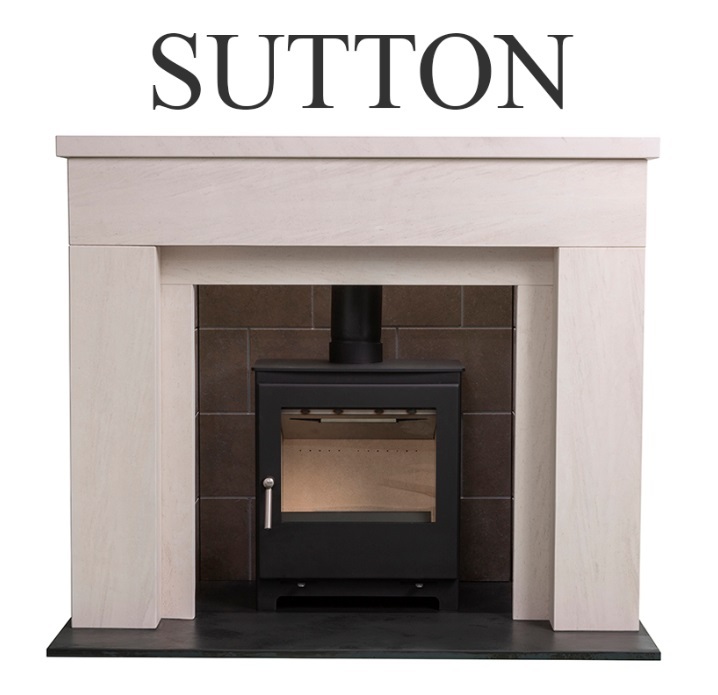 Our collection of solid Limestone Fireplaces are some of Portugal’s finest exports, hand crafted Portuguese limestone with matching hearths and chambers in limestone and honed slate. 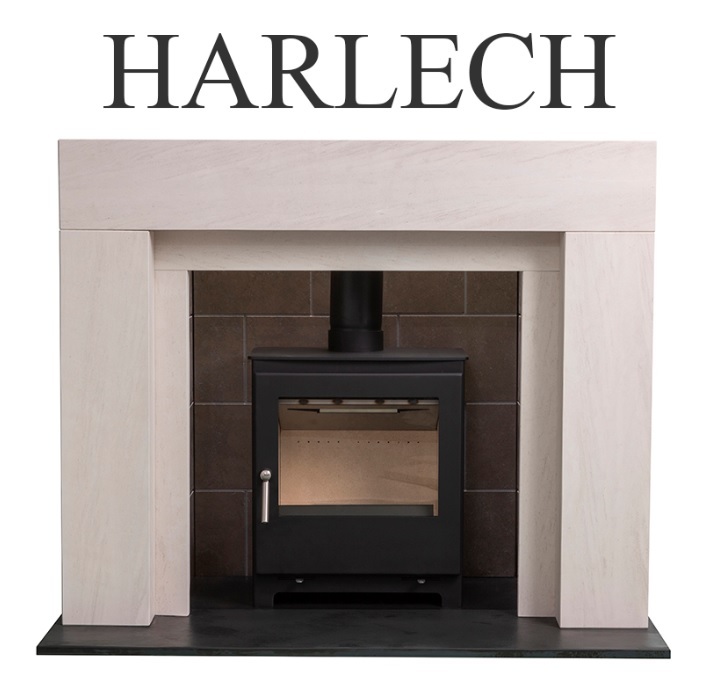 The selection will truly be a centre piece of elegance and focus for any home. 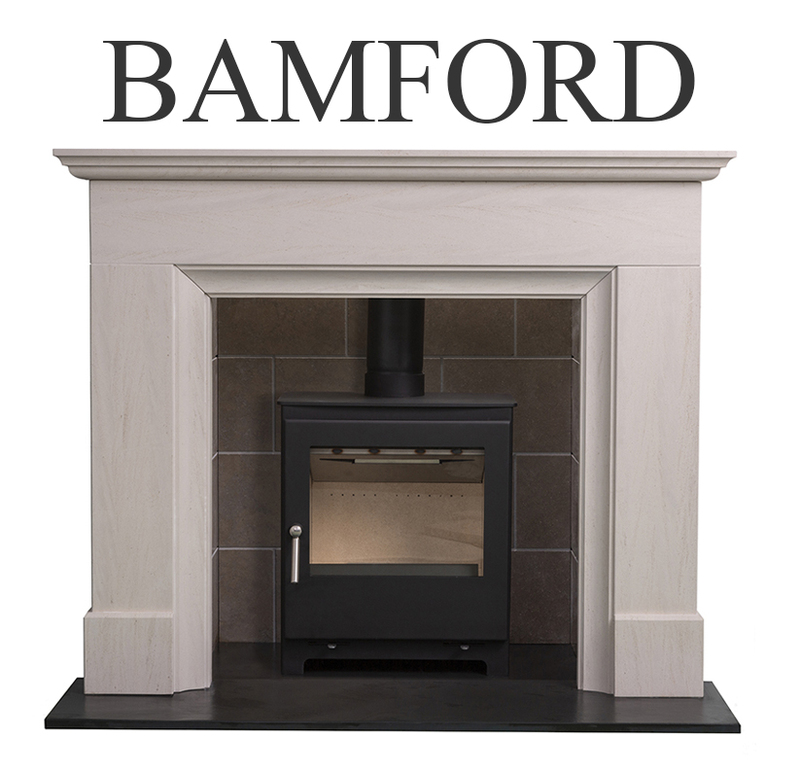 We can also produce bespoke fireplaces so please feel free to talk to your retailer about your own design. 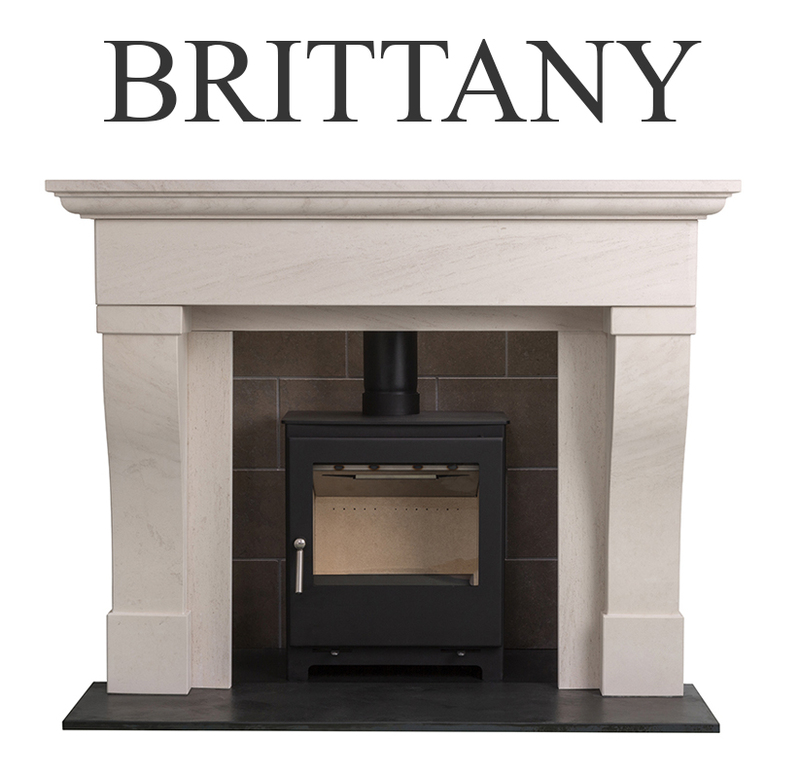 Grey Limestone – Our unique grey limestone chambers are absolutely stunning and come in a block effect. 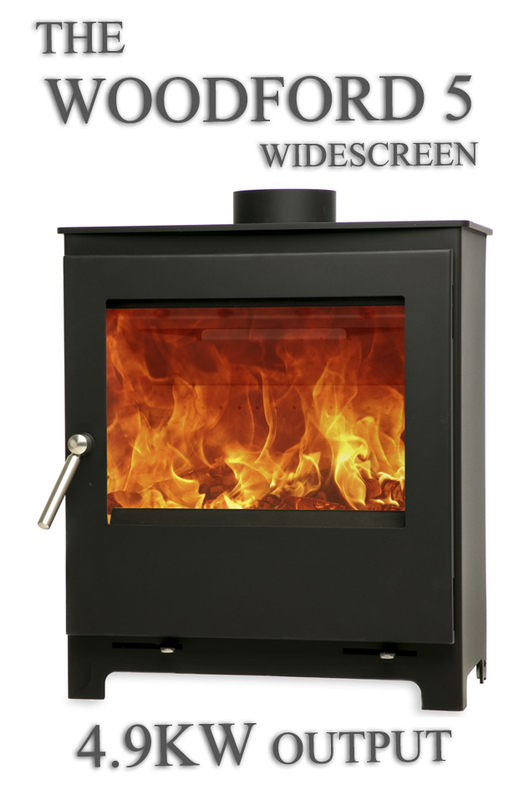 They are sized to fit nearly every standard fireplace opening but can be cut down easily if required. They come in 4 easy to manage panels, 2 x side panels at 410mm x 900mm and a 2 piece back panel measuring 470mm x 900mm. They are solid grey Portuguese limestone panels with a block effect pattern. 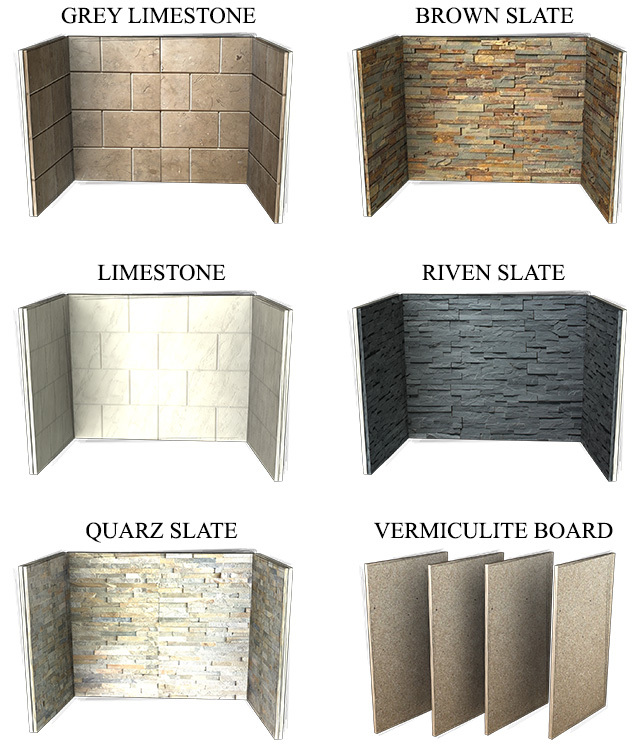 Brushed Limestone – Fantastic looking brushed natural limestone chambers with a block effect. They are sized to fit nearly every standard fireplace opening but can be cut down easily if required. They come in 4 easy to manage panels, 2 x side panels at 410mm x 900mm and a 2 piece back panel measuring 470mm x 900mm. They are solid Portuguese limestone panels with a block effect pattern. 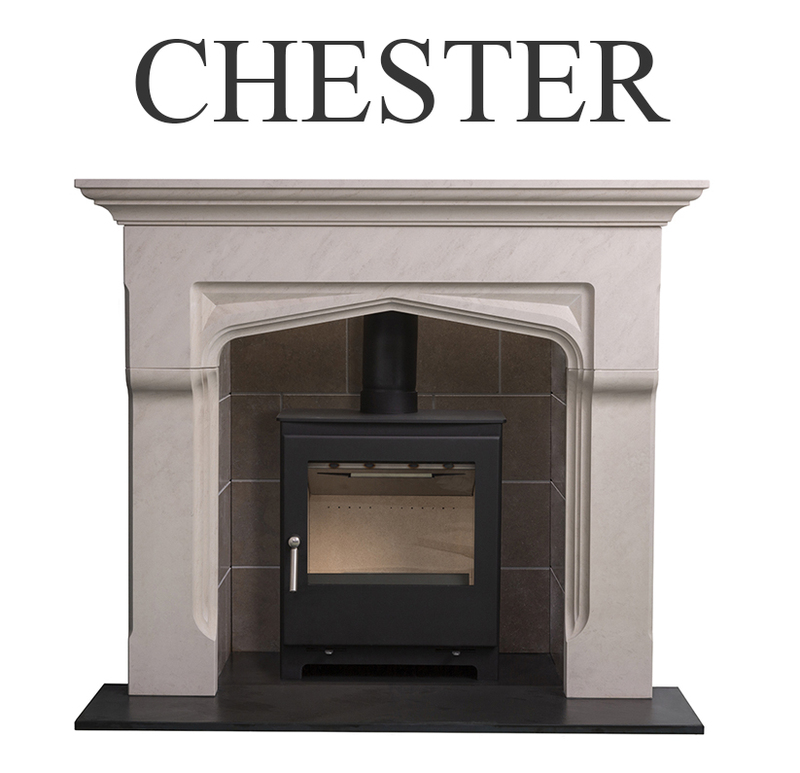 Slate Chambers – Our Quartz, Brown and Riven slate chambers are hand built slate chambers mounted on to a ceramic tile, this gives for an impressive effect and enlightens any fireplace. They come in 4 pieces of 2 x side panels 410mm x 900mm and a 2 piece back panel measuring 450mm x 900mm. 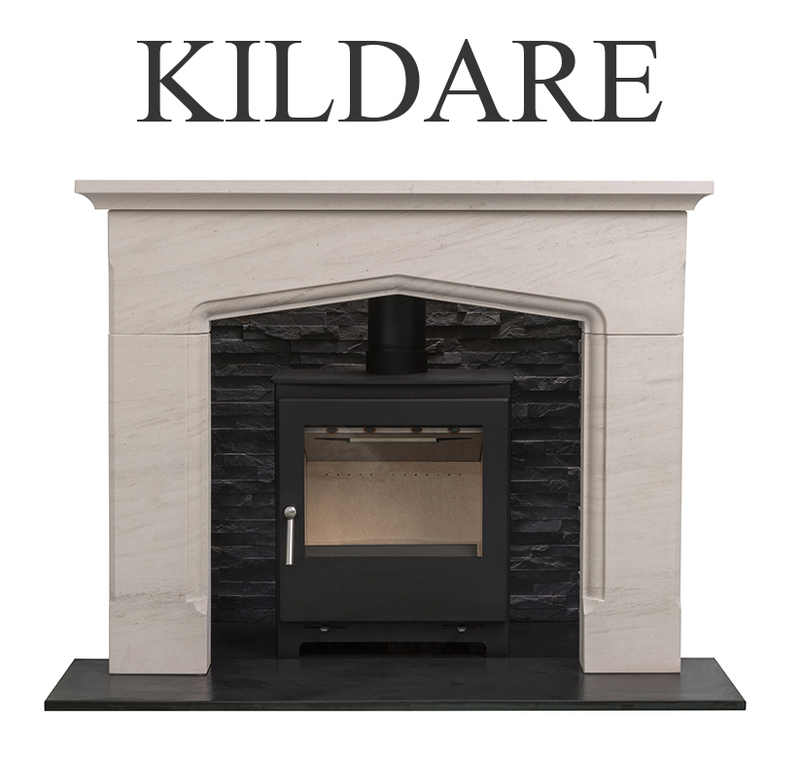 Vermiculite board – Another option is to board the inside of the fireplace with a vermiculite board, it’s a Skamol board and is heat resistant. Reeded one side and plain the other you can choose the look you want. The boards are sold individually and measure 997mm x 610mm and come either 25mm or 30mm in depth. Vlaze wall mounted heat shields are designed to be hung behind a wood burning stove creating a focal point that not only enhances the fireplace but allows the stove to be placed close to the wall behind. 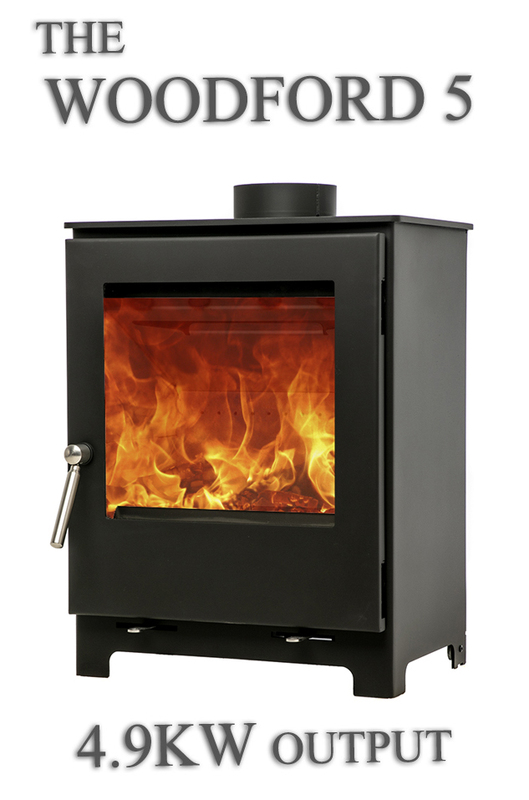 When installed the shield reduces the stoves distance to a combustible material by half. The vitreous enamel panel features a dual skin that provides thermal protection and an effective convection system that distributes heat back into the room. They come in panels of 800x1200mm and 800x1800mm. 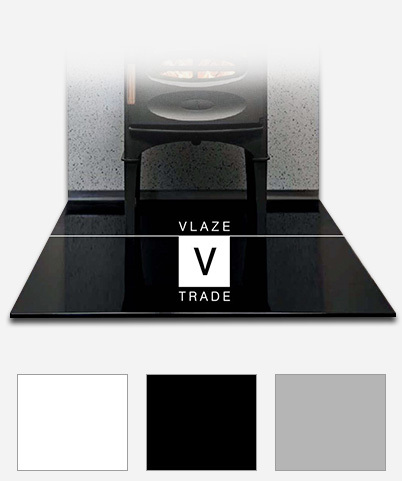 Vlaze vitreous enamel hearth plates create a clean, modern platform on which to stand your stove. An excellent alternative to glass or polished stone they can be used on their own or alongside our heat shields and insert surrounds for a seamless floor to wall solution. and boast a 12mm depth conforming to UK building regulations for non constructional hearths. An Vlaze products we offer in 3 colour options white, black or basalt. These are oversized so they can be cut onsite to suit any situation.